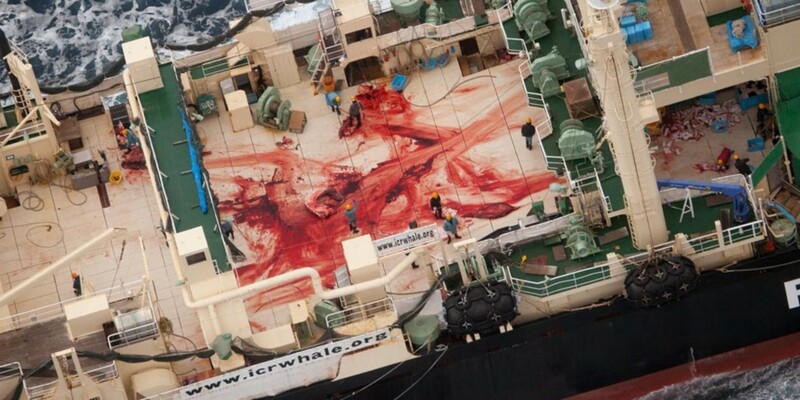 I was surprised to hear Sea Shepherd announce their withdrawal from the battle to stop Japanese whaling. It takes deep pockets and driven volunteers to venture to Antarctica, and frankly, there are few organizations capable of making the commitment. To put it in perspective, the MY Bob Barker alone burns around half a million dollars worth of fuel in a single campaign. On top of that you have multiple vessels, food, logistics, salaries, internet… So many expenses. A full campaign costs millions. Never-the-less, whaling was the flagship issue for Sea Shepherd – It gave them profile and notoriety with their successful TV show Whale Wars, and has raised them tens of millions of dollars. Every year the call was made for more vessels to complete the job, pushing their fleet into double figures. Sadly now, it seems the Japanese will have free rein to hunt whales. A few years ago the Ninth circuit court in the US ruled against Sea Shepherd, forcing them to hand over US$2.5m to the Japanese whalers. Judges were clear in their ruling – If Sea Shepherd disrupted the Japanese again, they would face substantially larger fines, potentially crippling the organization. Concurrently with this, Sea Shepherd lost its charity status in Australia, hindering fundraising efforts. I remember thinking at the time what options did Sea Shepherd have? 1) They could abandon the campaign and focus on other issues. 2) They could continue the campaign and try to defend their action again in the courts, although having already lost once in the Ninth Circuit on appeal, this would be high-risk. Since that ruling, Sea Shepherd has ventured to Antarctica several times but failed to engage the fleet, aside from a few fleeting images from their helicopter. In each case, Japan has come away with their self-imposed quota of 333 whales, and have probably been happy with the results. I spoke to a Japanese Journalist last night about this and he said while confrontations continued in Antarctica, it is hard to see the Japanese ever stopping whaling without losing face. For some Japanese, it has become an issue of pride. With this recent announcement, he felt that it might be possible for the Japanese to withdraw gracefully. I’m not convinced, but I hope he’s correct. Many years ago Greenpeace had countless pitched battles against the whalers in Antarctica. Sea Shepherd then moved in, and Greenpeace stepped back, focusing their anti-whaling efforts in Japan itself, and through media and diplomacy. It would seem Sea Shepherd may be following Greenpeace in this strategy, with the courts and other factors perhaps forcing their hand. Which does of course open up opportunities for another NGOs to take their place in engaging the whaling fleet. Does anyone fancy a trip to Antarctica?